Happy Clients Are Why We Think We're The Best Medical Spa in boise! Below are a few of our reviews. You can also "Google" "Botox Boise" and see our most recent reviews in the search results. Industry Leadership - Warren Danforth, the Spa 35 owner, is a Key Opinion Leader for Syneron-Candela's Medical Spa Program. Syneron-Candela is a global non-surgical aesthetic device company and maker of Profound, Intima and CO2RE. *Reviews are written by Spa 35 customers. 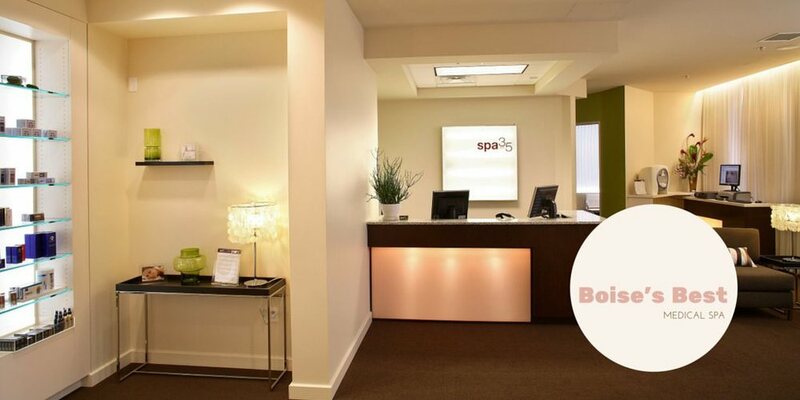 Any treatment results described in reviews are the opinion of the customer and not a claim by Spa 35 Med Spa that you will have the same results. Below are a few of our DemandForce reviews. You can also clink on the first image to see additional reviews. Thank you for reading our reviews. Those published on this page come from four sources, Google Reviews, Facebook Reviews, YELP Reviews and Demandforce Reviews. Demandforce is client management service Spa 35 utilizes to monitor our customer satisfaction and send appointment reminders.